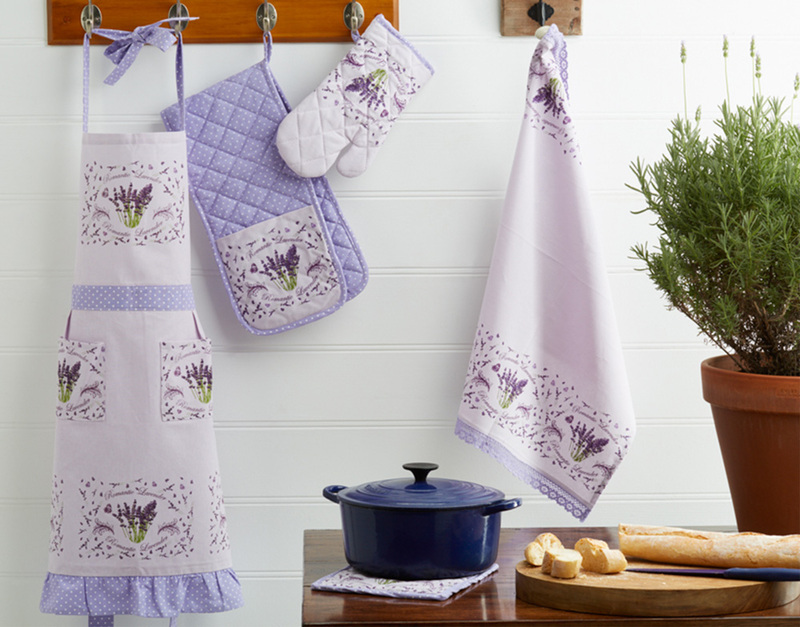 We carry a diverse range of lavender bags, sachets, kitchen accessories and napery items, including our popular range of lavender-themed products which are stocked by lavender farms and stores across Australia and New Zealand. We work with talented local designers to source a mixture of locally designed products, combined with those from international designers and manufacturers. New ranges are constantly being added to our catalogue, and as we have grown we have started to invest in the design and development of our own range of products, which have been very positively received. Nature casts a magical spell on this haven in southern France, nestled between sky-reaching mountains and the Mediterranean Sea with fragrant treasures of lavender, wildflowers, herbs, fruits and vegetables. It is these fragrances we infuse into our products so that you may experience this Magic of Provence. Indulge yourself in a full range of skin nourishing bath and body products created using the purest vegetable ingredients, rich shea butter, organic argan oil, or even sun-cured sea salt. For centuries, the luxury of French-milled soaps has remained the gold standard of excellence. Each time you begin to lather with French made soap, you enter a time and place where quality and craftsmanship have stood still. Traditional French soap is triple-milled to produce a completely uniform and smooth soap, without impurities, thus lasting longer. Every bar of Pré de Provence soap is not only carefully made today by dedicated soap makers in Provence following their proud traditions, but quad-milled to be smoother and have a richer lather to create our luxurious feel. We enjoy sharing with you the Beauty of Provence in each of our individually chosen fragrances and products. Fill your boutique with a full range of French Milled Soap Bars, Bath Essentials and Hand Creams created from the finest of natural ingredients. The history of Le Chatelard starts in the year of 1802, in the era of Napoleon Bonapart , when France had a new constitution and became a republic. The law permitting people to build houses only within the borderlines of the towns was revoked and one of the first houses build outside of the village Saint Auban was built by the farming family, Montaud. Their stone house, with a carving of the year on the front of the main entrance, not only shows the year of construction, the year 1802, but also marks the beginning of the company, Le Chatelard. The name Le Chatelard comes from the name of the little hill, which is home to a “small church”, and is now the place where the farm stands. The Montaud farming family harvested wild lavender in those first years, which naturally grows on the mountains, and produced essential oil from it. By 1805 they had started to plant lavender in their own fields and not to depend only on natural wild lavender. At Rosewood Designs we try to maintain an environmentally conscious approach to the selection of our products. This extends to using recycled packaging material and jute, a naturally grown and sustainable fibre for our extensive range of bags. 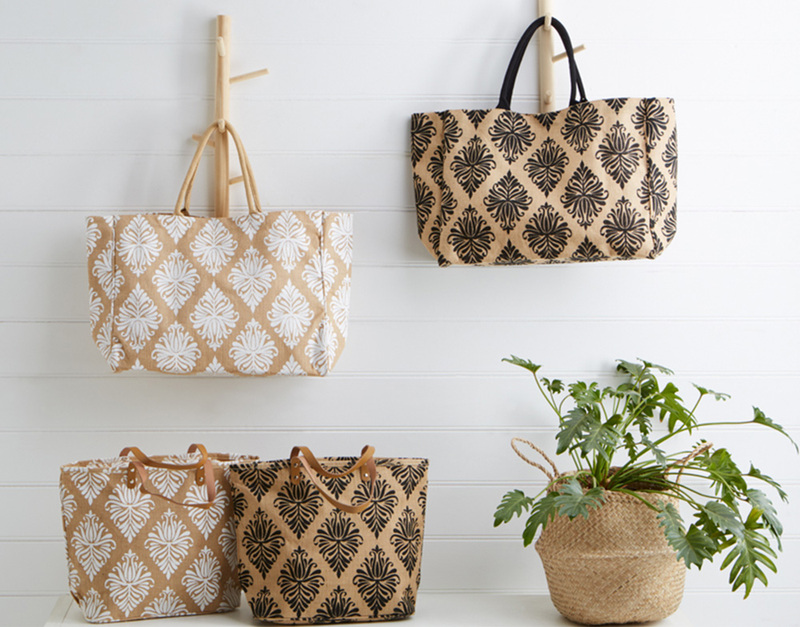 We’re pleased to see that the Supermarkets and many other retail outlets are finally discarding single use plastic bags and we see our jute bags as a sensible alternative for shoppers. Do you know that Jute is a sturdy natural organic fibre, which is the most eco-friendly, biodegrable and recyclable natural fibre in the world? Jute reaches maturation in as little as 4-6 months, making it a highly efficient source of renewable materials. It absorbs carbon dioxide and releases oxygen at a rate several times higher than trees. When discarded, jute totally decomposes putting valuable nutrients back into the soil. It also plays a vital role in the livelihood of millions of marginal rural people’s lives in the world, which meets both the goals of social responsibility and green movement. At Rosewood, we are glad that we could play a very small part in the green movement. Every bit counts! We are able to provide bags tailored to specific needs and amongst others, have provided custom made bags to Tully’s, a prominent Grocery store on the Mornington Peninsula in Victoria, as well as Port Arthur Lavender in Tasmania plus many others. Please feel free to contact us to discuss how we can provide customized bags with your logos for your retail stores or establishments. 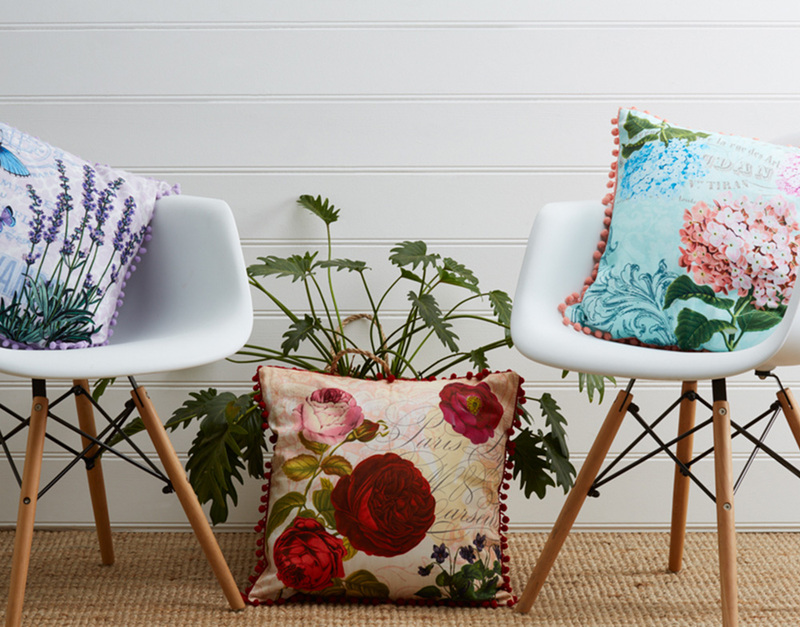 Email us at sales@rosewooddesigns.com.au or call Shari/Ian at 03 5975 3874. Effective 1st March 2017, a minimum spend of $150 is required for all orders.